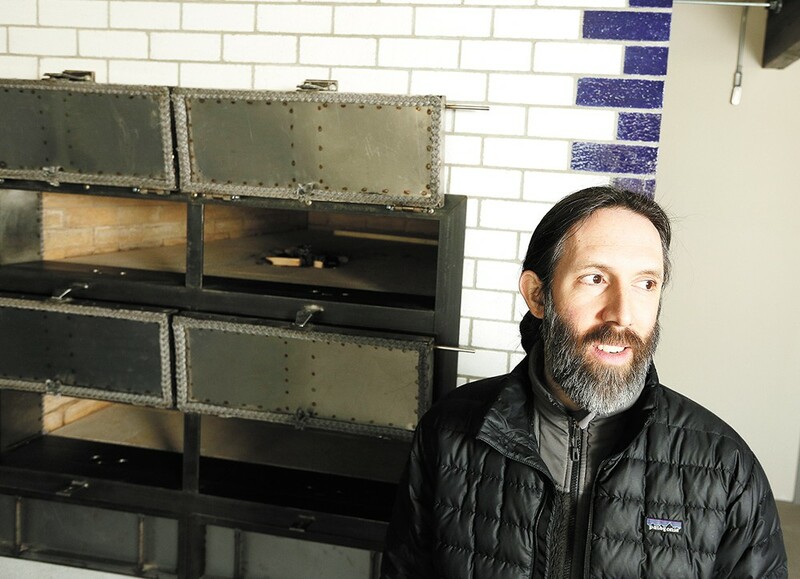 Baker Shaun Thompson Duffy is opening his Culture Breads storefront later this month. Beer and bread — two of the oldest recipes in the world — unite for the forthcoming South Perry bakery and brewery at The Grain Shed. The venture is a regional collaboration between a baker, a pair of brewers and a farmer, whose respective focuses sustainably and economically complement one another. Work to renovate a historic 1920s-constructed building at 1026 E. Newark — once home to a grocery store and a barbershop on the north edge of the South Perry Business District — to house the Grain Shed has been ongoing for the past several months. A projected opening is now just weeks away. A majority of the grains, which are landrace, ancient or heritage strains (these terms refer to grains that are pre-hybridized, primitive or were introduced before the development of plant genetics), that will be baked into bread and brewed into beer at the Grain Shed are grown by Palouse Heritage farms, near Endicott, Washington. Local baker Shaun Thompson Duffy, who operates the Grain Shed's bakery component, branded as Culture Breads, will mill those grains into flour to bake a variety of breads and other pastries inside the bakery's Old World-style, wood-fired oven custom built over several weeks late last year. At times, Duffy will also use spent grain malt from the bakery's counterpart Grain Shed Brewing, run by brewers Joel Williamson and Teddy Benson. "I was looking to try and open a spot by myself, and Joel and I have always been friends and we started talking about incorporating grain and all of its uses, and he started talking about the beer aspect," Duffy explains. "Then Joel and Don [Scheuerman, of Palouse Heritage] started talking about what we could do. Joel and Teddy are brewing beers with grains that no one brews with, these landrace grains... they were really taking it to a different level — the highlight is the malt and not the hops." Williamson is a well-known figure in the local farming and brewing community, having co-founded LINC Foods farm cooperative and the Palouse Pint grain malting operation. Culture Breads is sharing its space with Grain Shed Brewing. In the mornings, and until the day's inventory is depleted, customers can purchase fresh-baked breads and other pastries. In the coming months, as the baking schedule and the "personality" of Duffy's oven (which he's named Eleanor) are smoothed out, more house-made items will be introduced, including a lunch menu featuring flatbreads, sandwiches, and other items, like pasta, that all highlight Culture Bread's deep focus on grains. "All ovens are different," Duffy explains. "How much heat it retains and how many loads we can do is going to base what we can do realistically for a lunch service." Coming into the Culture Breads' side from the street (the Grain Shed is open to all ages, but will have separate bakery and brewery entrances), customers are immediately greeted by the sight of the massive double-deck stone oven, built with a face of blue and white glazed bricks. "A big reason for the oven to be front and center is to highlight wood-fired baking," Duffy notes. "It's such a rare thing. Wood-fire baking is a skill, and not a lot of people are doing it in America. It's a shame to see it die, it's such a way of life." Duffy worked with two professional oven masons to build the custom bread oven, which includes features that will allow the business to bake more than just bread and pastries throughout the day. At night, the lower oven deck is filled with wood to slowly burn through the night, uniformly warming the bricks on that level and the second deck above for the following day's baking schedule. The next morning, the remaining ash and embers are swept out of the bottom deck. Baking on both decks throughout the day is possible from retained heat inside the stone walls, with specific styles of bread going in first at the oven's peak temperature, and on until the oven is at its coolest, before the fire is lit again. Rather than only use that long-retained heat for pastries and bread, Duffy wanted to take advantage of the oven at its cooler temperatures to offer midday items, like pizza and sandwiches, in a bakery-café format. Later this year, he also hopes to launch a once-monthly, ticketed dinner series featuring multiple courses for themed menus, all prepared using the oven. And on Monday nights, when most other South Perry District restaurants and businesses are closed, Duffy is planning to stay open later for pizza night. Beyond bread, Duffy foresees baking German-style malted pretzels and bagels and hopes to make other non-baked items in-house, like jams, spreads and butter. Come late spring and summer, the Grain Shed will open sidewalk bistro tables out front and patio seating in the back. The daily lineup of loaves for purchase will begin with seven or so unique breads, including Old World styles such as German dinkelbrot, vollkornbrot whole grain rye and pain de mie, a softer bread often used for sandwiches and French toast. "Most of the bread will be named after the grain," Duffy says. "Each bread will have a different characteristic from that grain, the [sourdough] culture, sea salt, flour and water." The majority of breads will be naturally leavened, with commercial yeast used when needed. Duffy has been professionally baking for more than a decade now, getting his start at the Portland mill, bakery and cafe Tabor Bread. He brought skills learned there to Spokane about five years ago, working at Luna restaurant's in-house bakery for a time, where he first began milling his own flour. After leaving Luna, he independently established Culture Breads, first operating the business as a bakery subscription service. "I'm real adamant about milling my own flour," Duffy says. "With freshly-milled flour, there is no going back — there is no alternative to buying bags of flour sitting in a warehouse. If you want to bake bread as a living, you gotta have a mill. That was the first thing I purchased." Duffy's stone flour mill, set up in the back of the bakery, will be visible to customers through a large window. There, he'll mill flour from wheat strains like Crimson Turkey, Khorasan, Sonoran Gold, White Lammas and Red Russian, along with Purple Egyptian barley and Gazelle Spring rye. A farm near Cheney is providing a Black Einkorn, which Duffy describes as "the very first sort of wheat known to man," and which has an oily characteristic, requiring the flour to be refrigerated. Joel Williamson and his brother-in-law Teddy Benson have each been homebrewing for about a decade and always envisioned founding their own brewery someday. 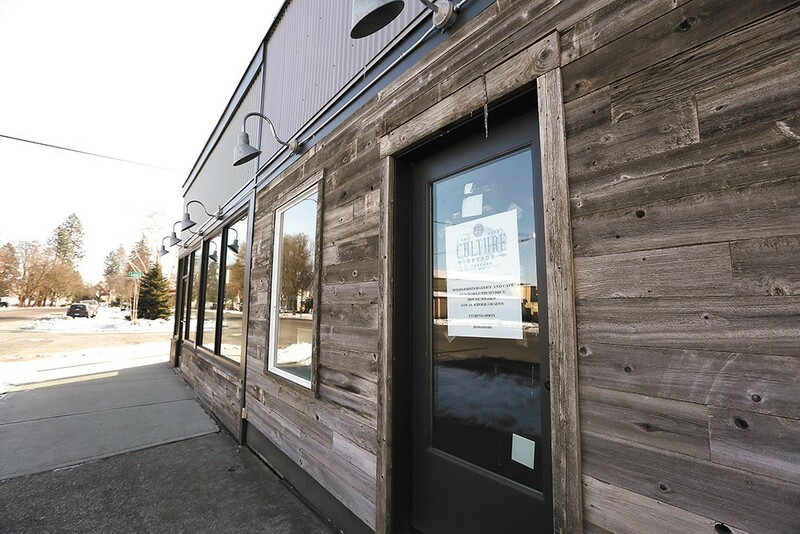 That dream is now being realized with Grain Shed Brewing, a microbrewery set to open later this spring highlighting beers made from lesser-known and nontraditional beer malting grains. "At LINC, when we started malting two years ago now, that changed everything for me," Williamson explains. "It was a great way to explore what else is really out there as far as ingredients, and that is when I got interested in malts and the different flavors at our farms... that change beer and that no one is exploring." The duo plan to brew beer a couple nights a week on their one-and-a-half barrel system that's set up right behind Grain Shed's bar. "It's a pretty small location, and we knew we couldn't have something too big on site, and the other idea was that the mill and the oven are there, and we want to make sure people can experience the brewing side as well," Williamson explains. On tap, the Grain Shed will feature a series of flagship beers named after the unique grains the brewery uses in each, like its Purple Egyptian Barley beer. Special one-off and experimental batches will frequently rotate. "We're not going to make classic beer styles that people are used to," Williamson says. "We're highlighting the unique flavors that Don [Scheuerman] grows. In general, the styles and flavors that we're trying to highlight are not as popular in the U.S., they're more malt forward." The original print version of this article was headlined "With the Grain"